Last night, I played. A treasure trove of old video games and consoles paying tribute to the history of gaming, at my fingertips. 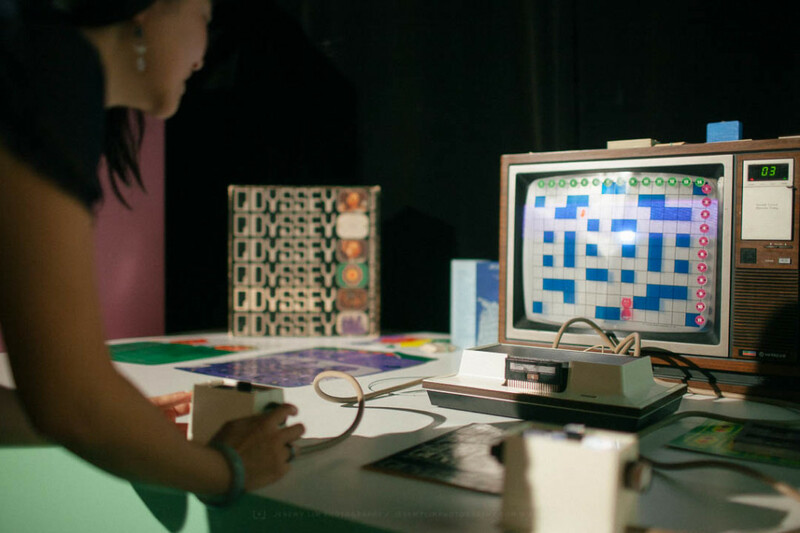 Evolution of Gaming is a wonderful and intimate exhibit, opening today for a limited run. The Evolution of Gaming exhibition will take you on an exciting journey, highlighting the ups and downs of an industry that almost didn’t survive– and that today, is a multi-billion dollar, ever-evolving enterprise. Evolution isn’t just about playing the classics, it’s a celebration of how and why video games came to capture our hearts, define our culture, and inspire multiple generations. Evolution showcase how games have shaped our culture, defined a generation, and set the foundation for games of today and tomorrow. 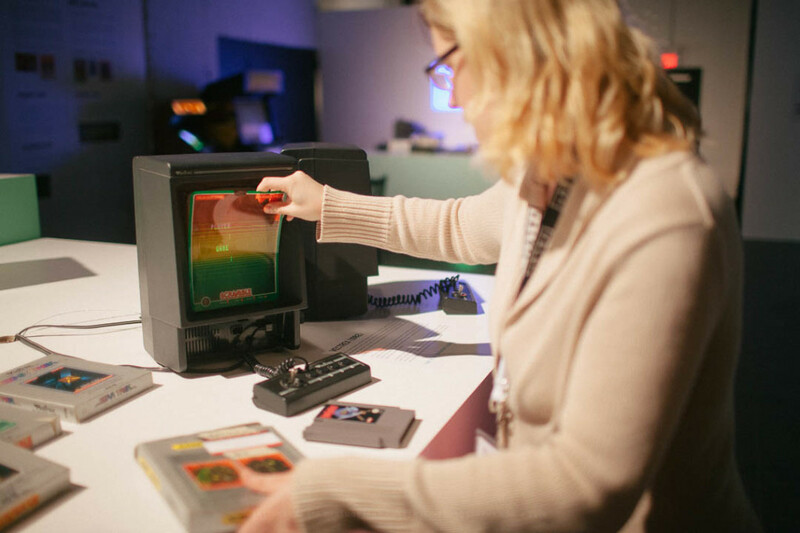 Featuring consoles, games and plenty of hands-on exhibits to enjoy, participants will get the chance to relive (or experience for the first time) the glory of classic games such as Pac-Man, Donkey Kong, Space Invaders, Frogger and Evolution. This event will also highlight the unique roles that Vancouver and France have played in this ever-changing industry. Free to the public, Evolution will host 300 participants per day at the 10-day event. Guests will have the opportunity to engage with various exhibits, including a special virtual reality demo. There are three time slots available per day for the free public visits. Limited tickets available for each slot. I enjoyed getting hands on with the Occulus Rift for the first time, featuring a simple game called Monster Yume, created within three months especially for Evolution. Co-curator Kimberly Voll led me on a fascinating historical lesson of two very important titles, created right here in Vancouver, that served as the foundation of the video game industry. They were named, fittingly enough, Evolution and BC’s Quest for Tires. Both are playable and located towards the back of the exhibit. What really struck me about the room was the openness to touch everything and play without restriction – a counterpoint to stodgy museum pieces behind glass barricades. As Voll noted, older consoles have a definite shelf life, and it’s only a matter of time before we’re not able to physically play these games in their native form. Might as well seize the opportunity and try your hand at some old classics, at The Evolution of Gaming. 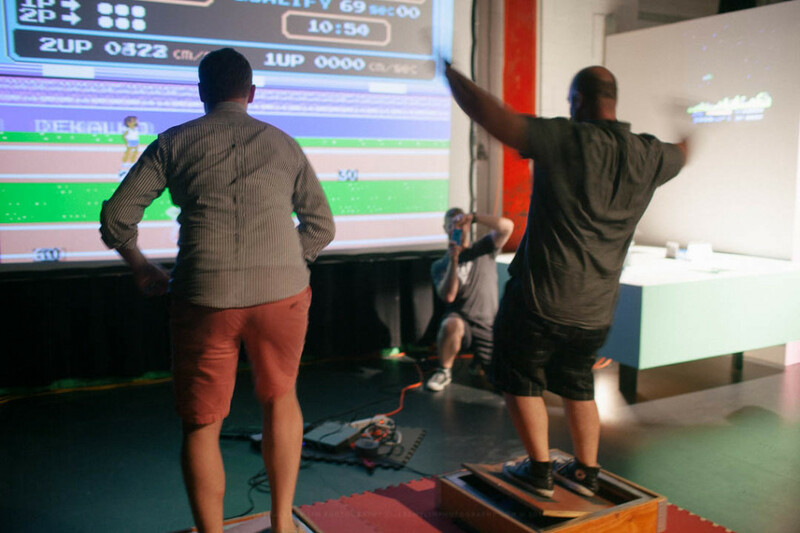 Located in the Centre for Digital Media’s Hangar, at 577 Great Northern Way, Evolution of Gaming is an interactive, retrospective event that celebrates the history of video games. The free exhibit runs from Aug 1-10. Find more information and reserve your time slot here.